Click HERE to vote. Only you can choose the winner. Captopril is matched against the new kid, tolvaptan. Since we are nephrologists and we like numbers, let’s run the numbers. You decide which one deserves to move on to Elite Eight. (6) UpToDate vs (4) ASN Kidney Week. 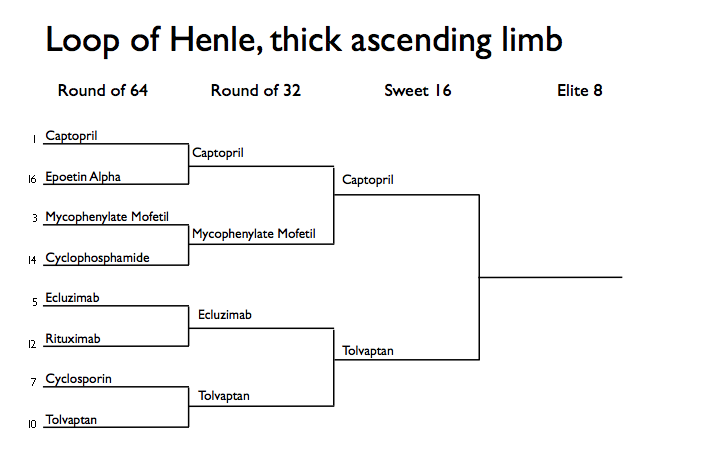 UpToDate has taken a long road to make it to the round of 16. First was a battle with wikipedia that was costly for UpToDate. Going up against free user generated content was a stretch for a team that is used to charging a fee. The next battle was against the fellows of RFN. The site has had a recent infusion of talent but is still far from its peak in terms of content. This allowed for UpToDate to easily win this matchup. Plus, UpToDate affects the entire medical community as it permanently changed the way we looked for information. ASN Kidney Week is the mothership of nephrology knowledge and a place where scientific information is exchanged. Kidney week fist took down Clinical Physiology and then had a close matchup with NephNAP, the widely popular in nephrology. 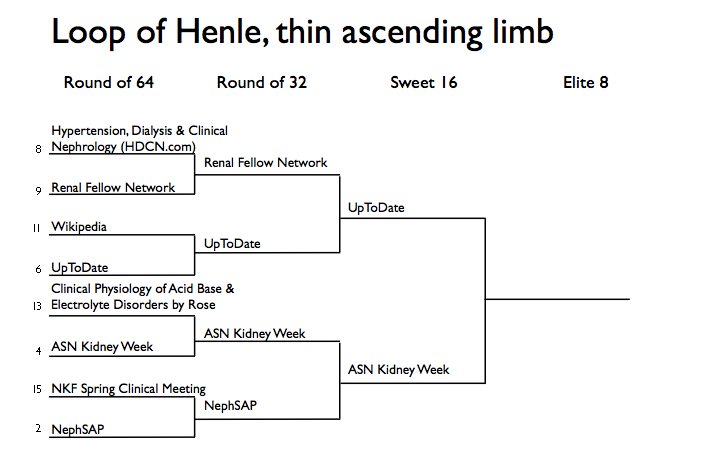 ASN Kidney Week will have a large task at hand with UpToDate. Let’s look at some historical and fun facts regarding both of these contenders. UpToDate seems more comprehensive in content and also faster than the other three evidence-based textbooks. Thus, it may be considered one of the best sources for answering clinicians’ questions at the point of care. Renal Week is composed of over 11,000 scientists and physicians and has played an integral role in educating many academic and community nephrologists. ASN Kidney Week allows for researchers, clinicians, students, care providers and patients to share current and cutting edge knowledge. 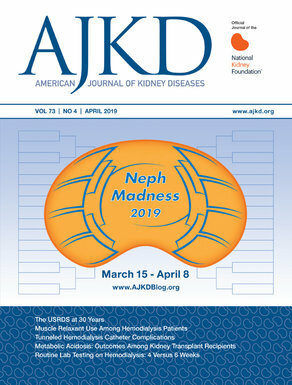 ASN Kidney Week exemplifies the depth of research that embodies Nephrology. From 1967- when it was purely basic science- to now where Kidney Week not only showcases top notch basic science but state of art clinical research and patient care. In addition, it serves as an educational conduit for many trainees and aspiring nephrologists.